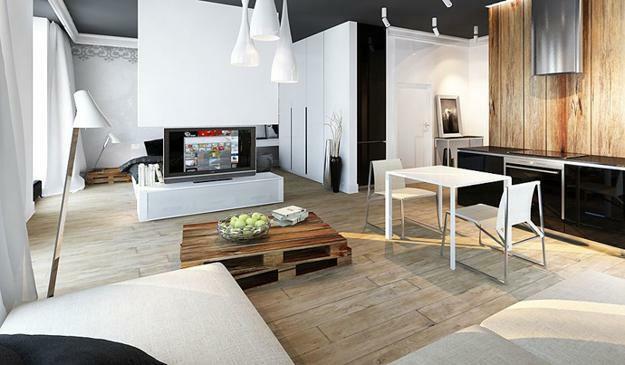 These modern apartment ideas are elegant, cozy and functional. 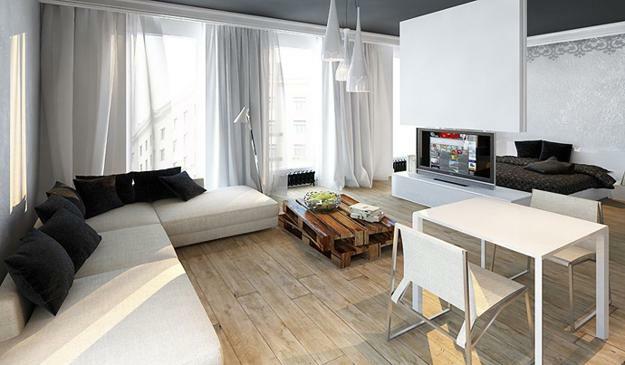 The apartment is designed by Add Design and located in Poland. 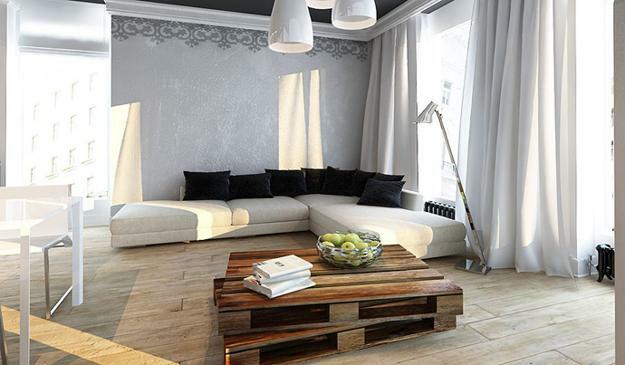 Neutral colors, black and white contrasts, creative accent wall design and unique furniture pieces are great for decorating small apartments in style while adding a spacious and inviting feel to living spaces. 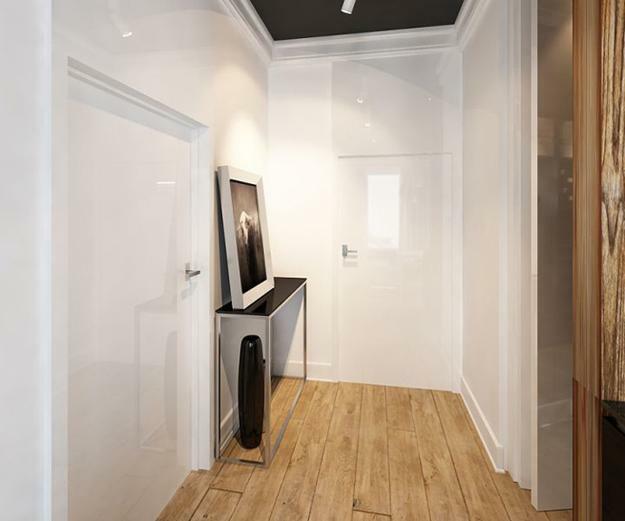 Black ad white apartment ideas, combined with contemporary solutions that are functional and stylish are ideal for small interior design. 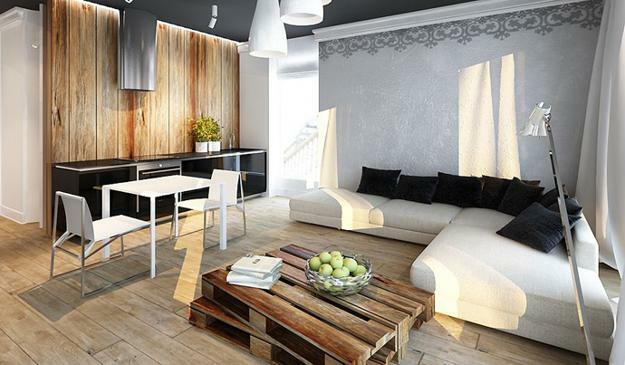 This apartment with decor in contemporary style feels light and breezy, blending natural wood with black-n-white decorating colors, harmonized with soft upholstery fabrics. The apartment is located in the center of Poznan and offer a great view of the city. 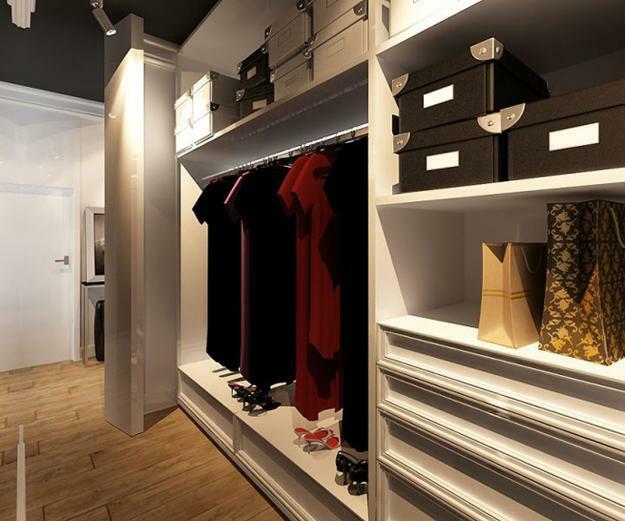 Bright living spaces feature modern furniture and decor accessories, blending a touch of luxury into elegantly simple and functional interior design. Creative room decor is spiced up with extravagant photographs and high-tech accessories, turning the small spaces into wonderful home, perfect for pleasant contemporary urban lifestyle. 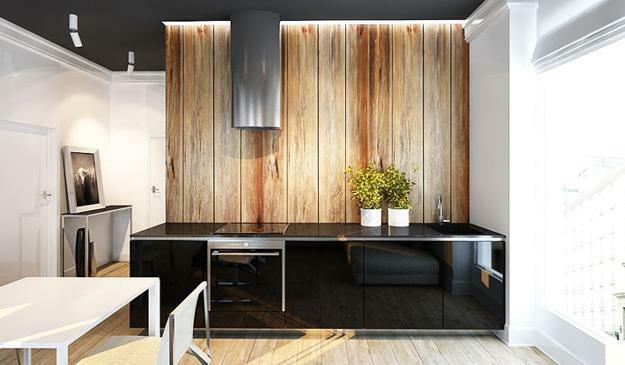 Wood furniture, wooden floor and wood accent wall design add warmth and natural feel to modern home decorating in black and white colors. 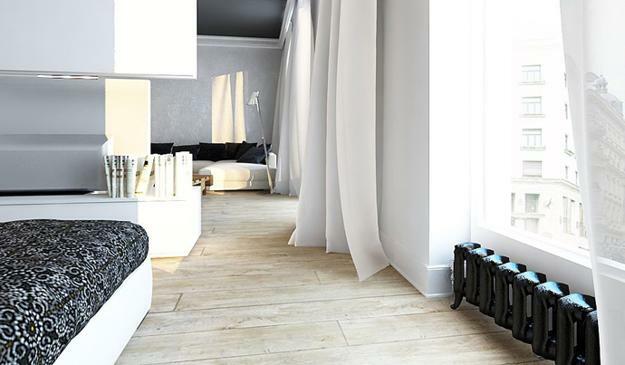 This natural material known for its strength and beauty, and changes the atmosphere in black and white room, adding warm and cozy colors and fabulous texture to cool contemporary apartment ideas.